Come visit us at our brand new Calgary Facility! Is your office green? 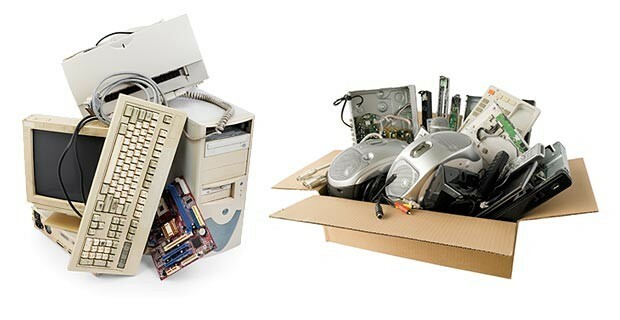 Call us today about our flexible office recycling programs. Is your company generating a lot of recyclables? Contact us for more info on large volume recycling! Balers, Compactors and Recycling Equipment sales. Now providing E-Waste pickups. Call for your pickup today! Looking for a one-time or a walk-in shred or pickup? Call us! 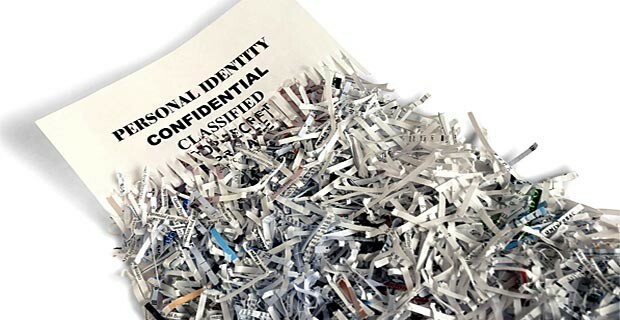 Do you have outdated files or sensitive documents at home to be shredded? Capital Paper Recycling offers a quick and easy walk-in shredding service during our regular office hours. No Appointment Necessary! We are now accepting and collecting Organic Material for composting. Please contact us @ 403-543-3322 for pricing and details! Looking for an affordable Office Recycling Pickup Program? 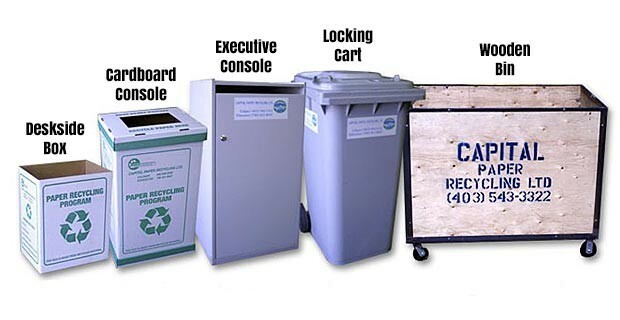 We have an assortment of fully customizable programs to suit your recycling & shredding needs! At Capital Paper we can collect and handle large volumes of waste paper. Our state-of-the-art facilities can safely and securely process your large volume recycling requirements. 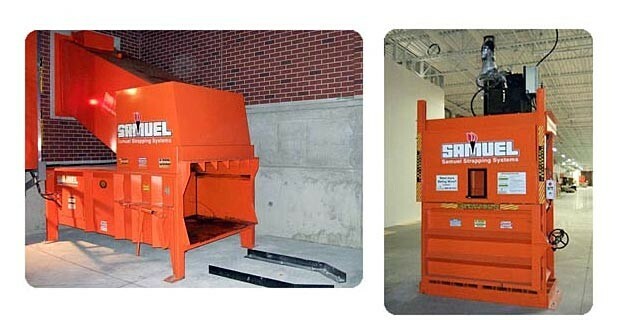 Capital Paper offers a wide assortment of balers, baling wire, compactors and other new and used recycling equipment. 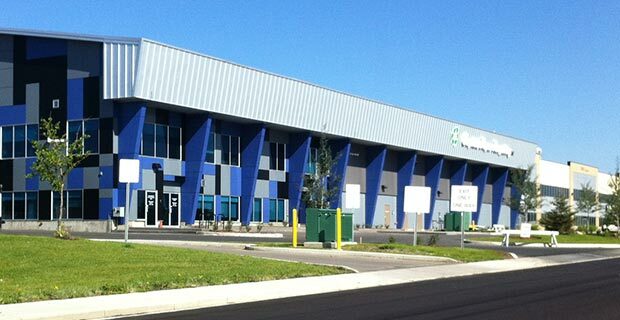 Capital Paper Recycling Ltd. is one of Canada’s largest independent paper recycling companies. Established in 1995, Capital Paper Recycling Ltd. is a major paper recycler & shredding provider servicing corporate, institutional and industrial markets. With a fleet of trucks on the road collecting recyclable material daily, Capital Paper services customers from small offices to large corporate & industrial clientele, municipal governments and rural communities. We supply collection bins and carts of all sizes, balers, compactors, inter-office consoles and bags to suit our clients’ needs. Each recycling program that we offer is fully customizable, based on the requirements of our client. Nothing is too small; nothing is too large for Capital Paper Recycling Ltd to handle. In Calgary and Edmonton the paper is securely collected and hauled to one of two 40,000 sq ft facilities, which operate under 24 hour security surveillance. Our processing facilities are fully enclosed to ensure confidential storage, destruction and disposal of your important documents. 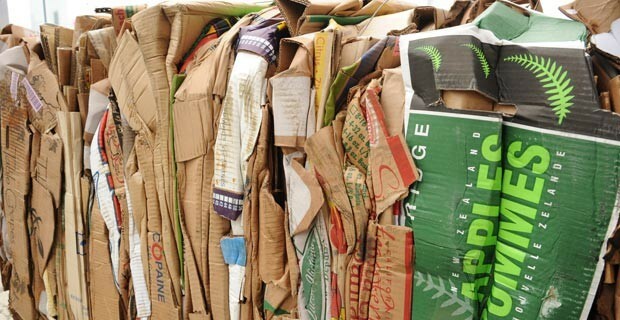 One hundred percent of the collected paper and cardboard is recycled. Recycling paper is one of the best and easiest solutions for our environment. Every piece of recycled paper helps protect our environment and reduces the need to cut our forests. Recently we have expanded our recycling to accept clear film and HDPE clear plastic and all electronic components. "Providing Recycling, Shredding and Compaction Equipment Sales for Small to Large Businesses and Organizations throughout Alberta"